Curious about weightlifting but assume it’s just for men? Find out why more and more women are beginning to #liftlikeagirl and how you can get started. Weight lifting has long been the territory of muscle-bound men, but more and more women are getting involved and reaping the benefits. Emma Friars from Powerhouse Fitness explores why you just might have the wrong idea about weights and how to get started. If I asked you to picture a typical weight room at the gym, there’s a good chance that the scene would be populated with guys lifting and benching. For a long time, the majority of women — 99.1% according to these 2011 participation figures from the government — avoided that part of the gym, writing it off as a man’s territory full of grunts, growls, and way too much flexing in the mirror. But, things are improving. In 2015, the #liftlikeagirl campaign took off and went viral as women up and down the country celebrated their love of weight training across social media. The movement captured the attention of many aspiring strong ladies who began to incorporate weights into their training regimes. With this in mind, I’m going to share some of the benefits of weights that you may have overlooked, as well as providing some tips as to how you can get lifting yourself. Read on to find out more. Apart from being a male-dominated area of fitness, many women can be put off weight lifting. This is usually because they have misconceptions about what it can achieve, or they aren’t aware of the real benefits it can offer. Let’s have a look at some of these in more detail. The most common misunderstanding of weight lifting is that it will automatically bulk you up, an idea that can put a lot of women off. This is inaccurate, as women naturally have lower levels of muscle-building testosterone than men, which means that they don’t bulk up as quickly. For ladies to actually ‘get big’, an intensive diet and training regime would be required. However, what you can get out of weight training is improved muscle definition — ideal if you’re looking to tone up — and greater strength, which can help you improve in many other areas of your fitness regime. Weight training is a progressive type of training: you hit a limit, build your strength, then come back and push your limit right out the window. You will get a huge rush every time you achieve a new personal best and you will begin to feel a lot more confident in your strength. Not only that, but you’ll also most likely see an improvement in other areas of your training or sports, pushing your confidence in yourself even further. I’ve said that weights will strengthen your muscles, but it will also give your bone density a big boost. Training will put your bones through quite a bit of stress, which causes them to develop a greater density to compensate. Not only will this guard against fractures and breaks in the short term, but it can be of great benefit in later life as well, keeping conditions like osteoporosis at bay. Because weight training is so heavily associated with gaining bulk, people usually miss the fact that it a fantastic fat burning exercise. As lifting helps to build muscle, your resting metabolism will be increased at the same time, so you will burn through a lot more calories as you go about your day. For instance, findings from Idea Fitness found that it was possible to burn an additional 35-50 more calories for every pound of muscle gained. This positions weight training as a great alternative to cardio training for any ladies looking to burn some fat. If you haven’t looked into weight training before, I’ll bet these benefits sound pretty good, right? Then why not get involved and get lifting like girl? There are a few things you need to know, however, so I’ve put together some beginners’ tips to help you get started. I can’t stress how important it is that you learn the proper form for lifting exercises before you dive in. I’ve mentioned that weights will put your body under stress, and if you go about it the wrong way you can risk injuring yourself. If you can, seek instruction from an experienced lifter who’ll be able to study your form and let you know what you’re doing right and wrong. Should no one be available, this guide from the Guardian has detailed, step-by-step instructions on each type of lift you can follow. Weight lifting can be very hard work, especially at the beginning, and you risk injury if you’re not loose and limber. This is why it’s vital that you’re never tempted to skip the warm-up and that you do it the right way. A good routine will loosen up your joints, warm up your muscles, and get your body moving in the right way. I recommend dynamic stretches: arm circles, walkouts, and toe touches for your upper body, then reverse lunges, side lunges, and leg swings for your lower body. If you’re new to lifting, you probably won’t quite know what level of weight you should be entering at. You should definitely take the time to find out though, as it will ensure that your exercises are effective as possible. I recommend that you start with dumbbells, as they handle well and are versatile enough for a variety of exercises. To find the right level, pick up some weights you can comfortably lift, then stand with them in your hand at waist level with your back to a wall. Next, perform a curl to your shoulders without moving your upper arms, then back down to waist level. See if you can repeat this 14 more times, and if it’s too easy, move up a level. 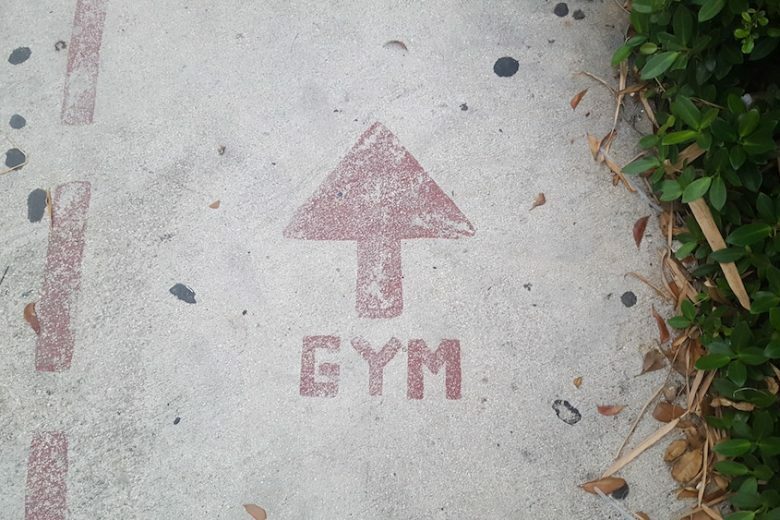 Once you feel you’re getting a workout, you’ve nailed it. I hope my article has helped you to see the benefits of weight training for women, as well as giving you the right advice to get started. All that’s left is to go down to the gym and get lifting like a girl.